Your automatic garage door requires regular maintenance in order to function at an optimal level. Our professionals are here to take care of that for you. We can help keep your system in excellent condition, while you spend your free time doing the things you love. To give you complete peace of mind, we’ll arrange a schedule suitable for your door and matching your lifestyle. 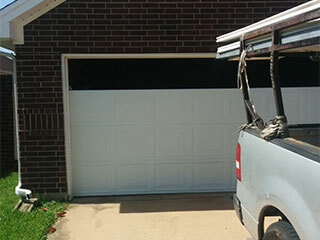 Modern garage doors are made of all kinds of different materials, from steel to wood and fiberglass. Even the most weather-resistant panels need care from time to time. You can count on us to conduct close inspection and then fix any discovered issues in the shortest possible time. If you have a steel door whose bottom panel have started to rust, we’ll remove the rust and apply protective measurements, including placing a proper seal to help resist or entirely prevent this from reoccurring. If our test reveals your door's opener force and travel limits aren’t set correctly, we'll readjust them straight away. If there are any issues with the interior components, our inspection will reveal them. In case of a dry chain or rod, we’ll lubricate it properly. We'll also reprogram the controls to resolve any operational issues we may find. One of the most important tasks is the testing of the safety sensors. Their importance is paramount so if one of them fails our tests, we’ll replace it right away. There are hundreds of parts responsible for the opening and closing of your garage door. Our job is to inspect each one closely and ensure that it's working like it's meant to. There are all kinds of issues that can affect them. If you have misaligned track sections, we’ll be sure to adjust them. In case there is a frayed cable, bent hinge or twisted roller, we'll replace it with a matching one of top quality. Repair and replacement are integral parts of our garage door maintenance services. Our technicians specialize in spring adjustment as well. Call our Garage Door Repair Cypress team today to schedule a maintenance routine for your system.